Hey everybody, it's Truffles! I turned my tablet around so you can see what I'm watching...my favorite web series, CATastrophes! 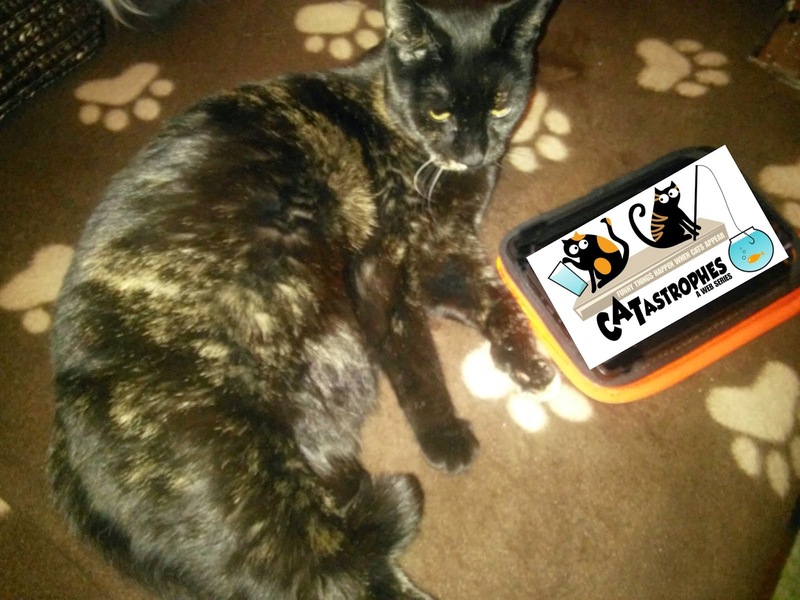 Mommy and I just got to watch an advanced screening of the latest film, Lucky CATastrophe, and I give it 4 paws WAY up because it promotes the adoption of black cats. The video stars a cat named Hemingway who is still available for adoption from Chicago Cat Rescue. I have some screen shots that I've been authorized to share with you, and make sure that you subscribe to CATastrophe's YouTube channel. That's where you'll be able to watch Lucky CATastrophe when it premieres on Friday, March 13th, at midnight! 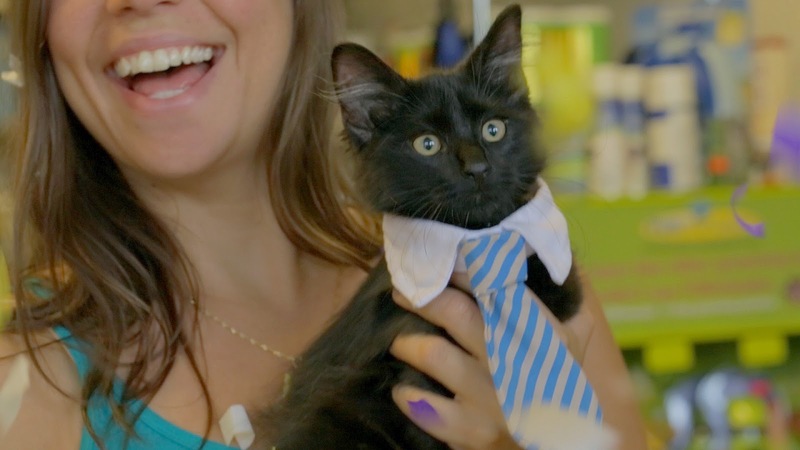 We're so excited about this video... and about black cat adoption! 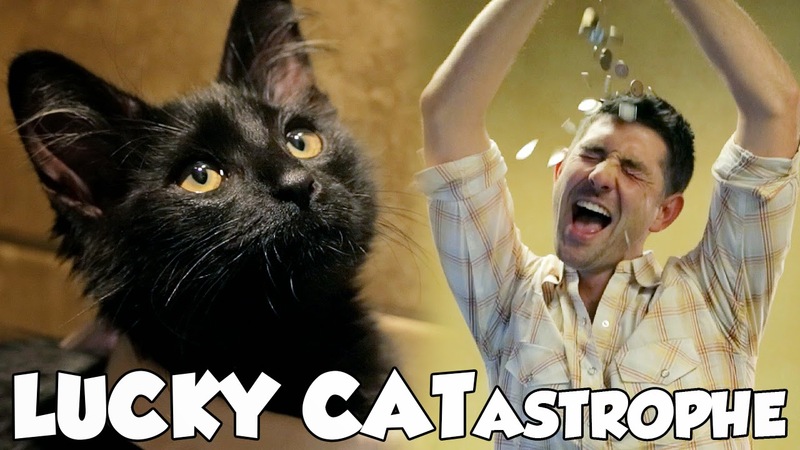 The Catastrophe videos are great, we love them! I haven't seen their channel before, I will have to check this out! We can't wait for the video! 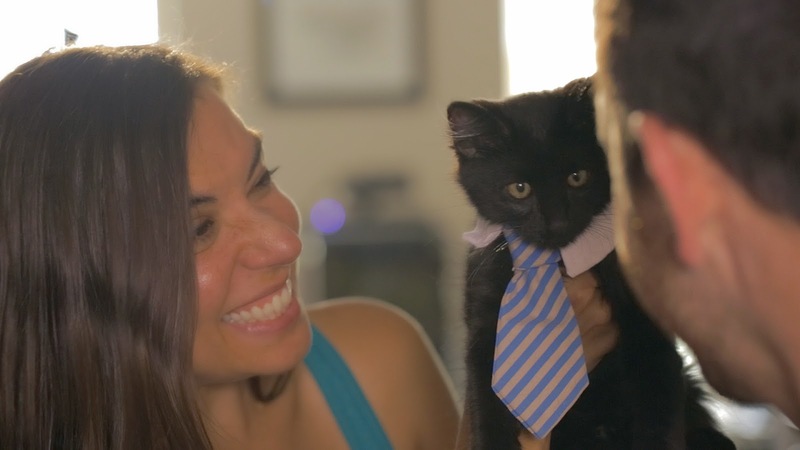 Alana does a great job with the web series, and I love that this episode promotes the adoption of black kitties! I love the series. Can't wait to see the next one! That is one adorable kitty!!! Can't wait to see the new video! I've seen some of the videos but had never subscribed. Did that today! So glad they are promoting black cat adoption. We are writing our blog post, FB post today!!! I have not seen this yet. Will have to check it out. Love your tie. Oh boy! Thanks for the preview! I love the picture of the guy pouring coins on his head manically! Truff! Thanks so much for posting this! We came by yesterday but our comment wouldn't post. Anyway, we're so excited to share this with everyone and so appreciate your help spreading the word! Thanks everyone for your lovely comments! - Crepes and Alana.